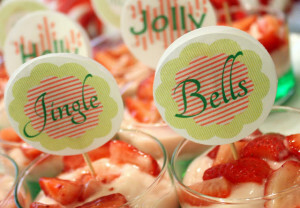 Making A Merry Christmas: Mini Parfaits At The Holly Jolly Jingle Hoppin' Cousins' Christmas Party! 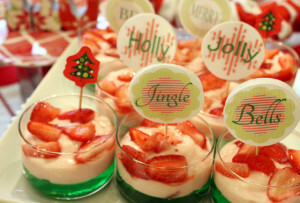 You are here: Home / Holidays / Making A Merry Christmas / Making A Merry Christmas: Mini Parfaits At The Holly Jolly Jingle Hoppin’ Cousins’ Christmas Party! 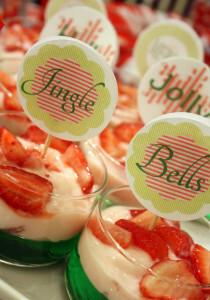 Making A Merry Christmas: Mini Parfaits At The Holly Jolly Jingle Hoppin’ Cousins’ Christmas Party! In the spirit of spending quality time with our family this Christmas, my daughter and I hosted my nieces and nephew (along with my sisters and mom, of course) for a Holly Jolly Jingle Hoppin’ Cousins’ Christmas Party. 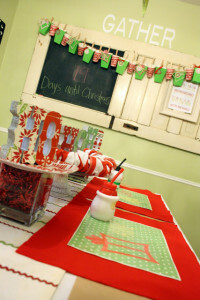 Today I’m going to show you some cute, mini (and oh, so jolly!) 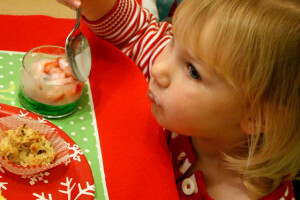 parfaits, perfect for my cute, mini (and oh, so jolly!) party guests. 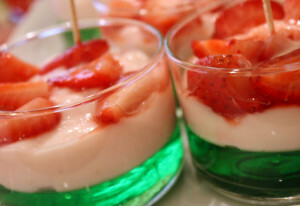 I’m not even calling this a recipe because all I did was make the jello according to the instructions on the box, divide that evenly among 8 small dishes (I used the Tasting Party Dessert Bowls from Pier 1), add a layer of strawberry yogurt and top with a few strawberry slices. The kids gobbled them up while my lil’ punkin watched in amusement. It’s safe to say the parfaits were a hit. 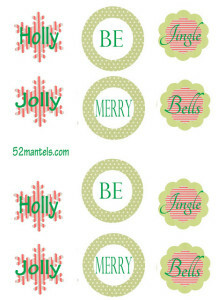 You didn’t think I would leave without sharing my toppers with you, did you?? Thanks for the idea and the tag download!